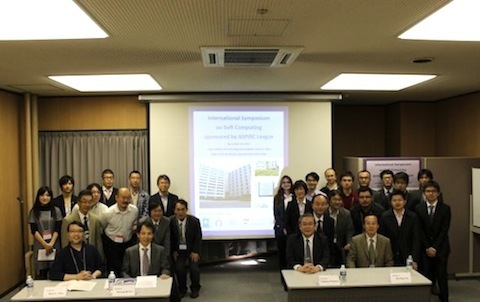 The Asian Science and Technology Pioneering Institutes of Research and Education (ASPIRE) League is a consortium of ﬁve leading universities in science and technology in Asia. It aims to form a hub for innovation in Asia through the advancement of science and technology and the development of human resources, thereby contributing to the realization of a sustainable world. Currently a project on "Soft Computing Approach to Intelligent Informatics under the Existence of Uncertainty" is on going and the symposium is held to exchange world wide research results on these topics. Please make registration as soon as possible. The topics include, but are not limited to: Fuzzy Logic, Neural Networks, GA and Evolutionary Computation, Hybrid Systems, Adaptation and Learning Systems, Distributed Intelligent Systems, Network Systems, Multi-media, Human Interface, Biologically Inspired Evolutionary Systems, Artificial Life, Systems Biology, Synthetic Biology, DNA nano-technology, Chaos, Fractal, Wavelet Analysis, Scientific Applications and Industrial Applications. Copyright（c）2012 Tokyo Institute of Technology.